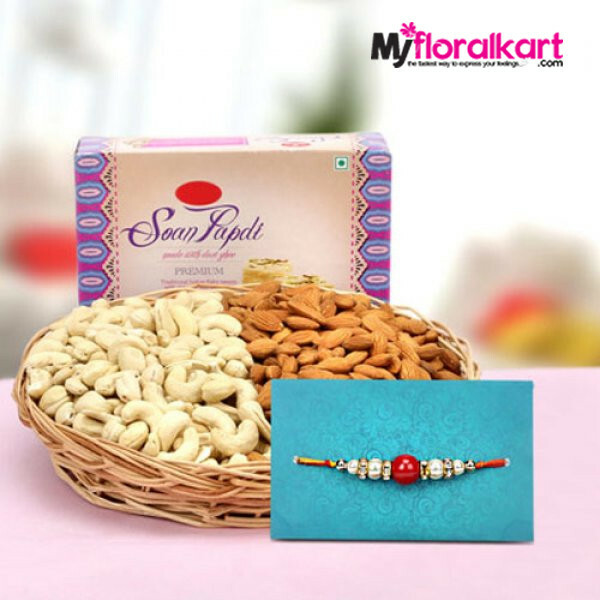 The taste of sweetness blend with saltiness make a great present when the occasion is Rakhi. That is what makes this so special. And the beaded rakhi makes the set complete. You’ll receive this set by courier within a week of having placed your order.